Excludes Lunch, Camera fees, Horse/Ropeway/Boating Charges or any other personal exp. Day 01 : WelComeat Indore. Report to Hotel. 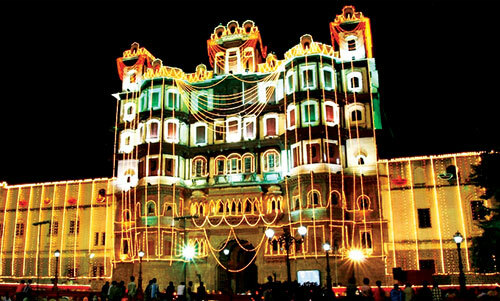 Indore Sightseeing.Rajwada, KanchMandir , The Indore Museum, and the Border Security Arms Museum, at BijasenTikri, atop a hill, and while you are at it get your blessings from the Goddess Bijasen at the temple built in 1920. Shree SansthanBadaRawala, &LalBagh Palace. Overnight stay at Indore. Day 02 : Early Morning proceed to toOmkareshwar( 75km , 2 Hrs )located on the Mandhata hill on the banks of the Narmadais one of the 12 revered Jyotirlinga shrines of Shiva. 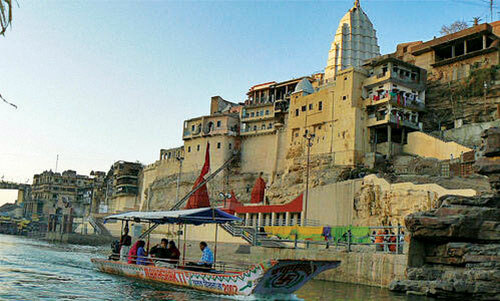 Visit Omkareshwar and Amareshwar. Proceed toMaheshwar( 60 Kms / 2 Hrs ) Overnight stay at Indore. Day 03 : After breakfast proceed to Ujjain ( 55Kms / 2 Hrs) Visit MahaKaleshwar Temple, Ganesh Temple, GopalMandir etc. 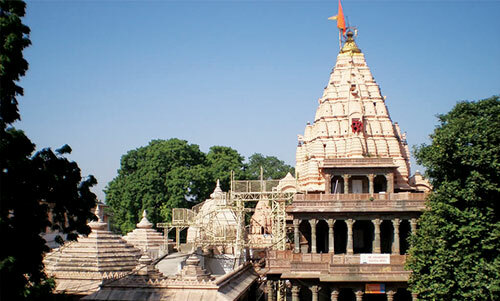 Ujjain, a historic capital of Central India in Madhya Pradesh is a venerated pilgrimage centre enshrining Mahakaleshwara, one of the Jyotirlinga. Overnight stay at Indore. 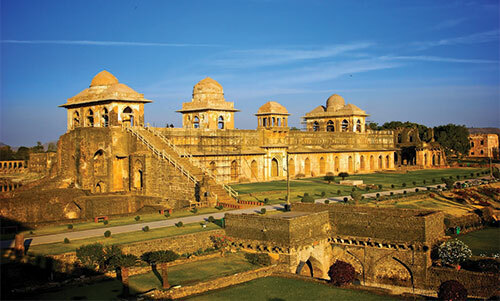 Day 04 : Morningto Mandu, ( 85Kms / 2 Hrs ) Mandu ,Located at an altitude of 2000 feet, Mandu, in Madhya Pradesh, was originally the fort - capital of the Parmar rulers of Malwa. 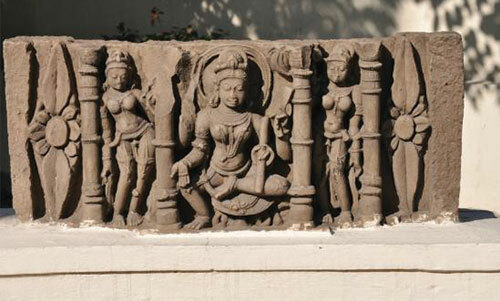 Visit Jahaz and HindolaMahals, ornate pavilions, and other architectural gems. Drop at Indore . Tour cost excludes: Lunch, Camera fees, Horse or ropeway or Boating Charges or any other personal exps, entry Fees.